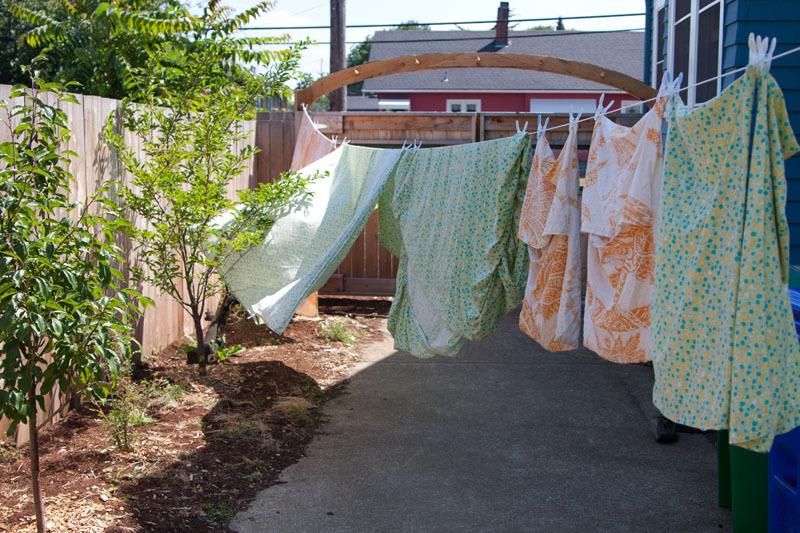 I don't think there are many that claim washing laundry is fun, but when you can go outside on a breezy, sunny day and hang your clean linens and clothes to dry in your garden, well- that's pretty nice. Plus it saves money and makes for a happier planet, so you can feel pretty good about yourself too. The Methley plum and bed sheet make friends. 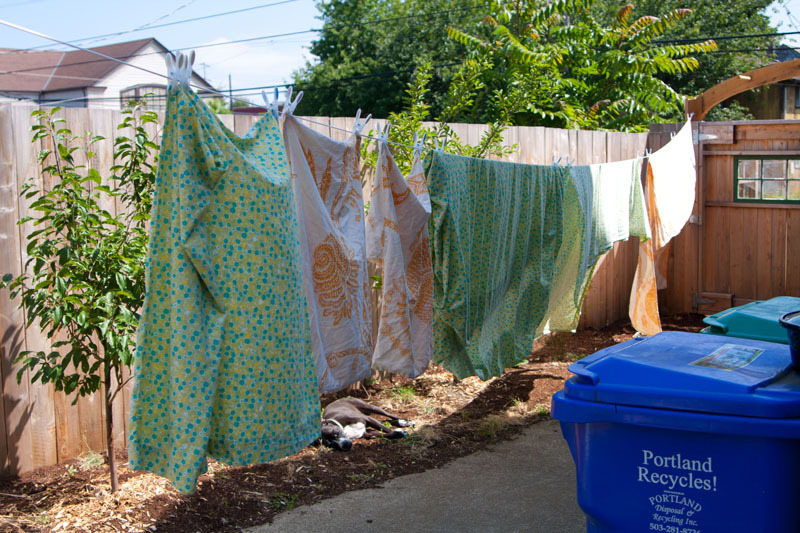 I decided to install a 40-foot retractable clothesline along my plum orchard and I have to say, it has motivated me to wash laundry more frequently instead of letting it pile up until the hamper is overflowing. Not in focus, you can see the clothesline attached to the soon-to-be office. I recommend this type of clothesline, especially for urban spaces. It's easy to install and definitely easy to set up/retract upon each use. I also have a stretchable clothesline (similar to this one) with hooks on the end that I string between two posts on the deck when I'm motivated to wash a few loads in an afternoon. Mr. Dufresne finds soothing the swaying of linens on the clothesline. 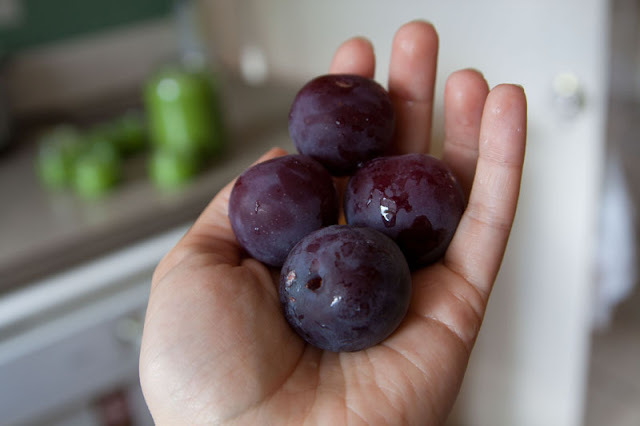 Bonus plum shot. This is our staggering Methley plum harvest. I don't think the tree liked being transplanted this spring. We have several more plums coming in on the Brooks plum tree. 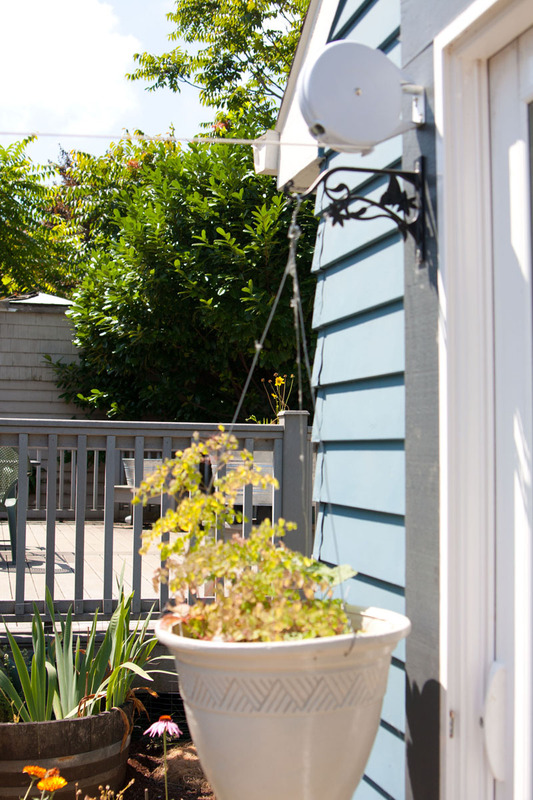 And absolutely none on the weeping Santa Rosa plum for the second season since we planted it.